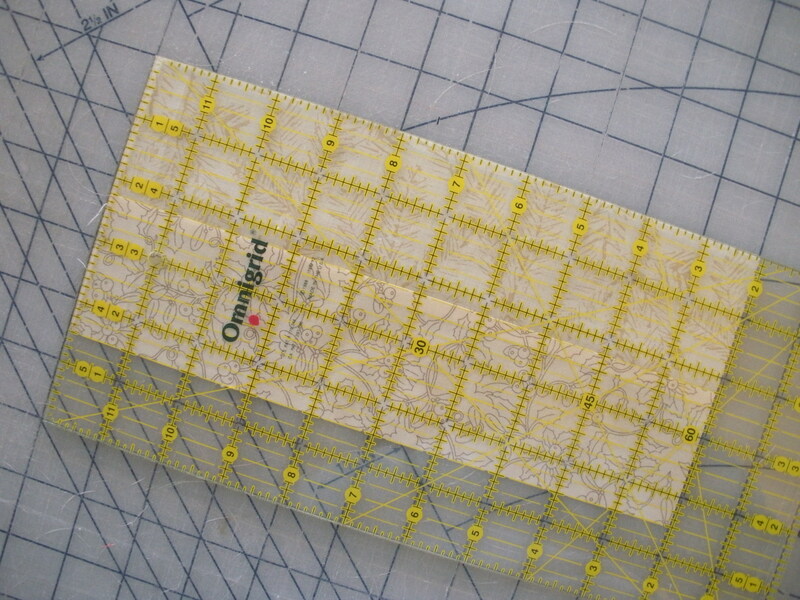 November | 2010 | Quilting my way through life! ﻿﻿My mom taught me many years ago to use fingernail polish to mark with. It’s more permanent than any permanent pen that I’ve found. You could write your name with it I guess, but just a dot (I use the same color for all my tools) and at a glance I know it’s mine. Remember, send me a tip at SuznQuilts@aol.com and if I use it for one of my Hot Tip Tuesdays, I’ll send you a free pattern. Have you ever started making a quilt with multiple strips sewn together and the farther you sewed the more crooked your block became? My first quilt (first to begin, still not finished) was a sampler quilt with a rail fence block. It’s a 12″ block, that’s made up of 4, 6″ blocks which are made up of strips. Luckily another quilt caught my eye, I dropped the sampler to make it and so on and so on and shall we say the rest is history? Somewhere along the way I learned to press correctly and my blocks are accurate and straight. Thank goodness I did or who knows where my quilting experience would have ended. 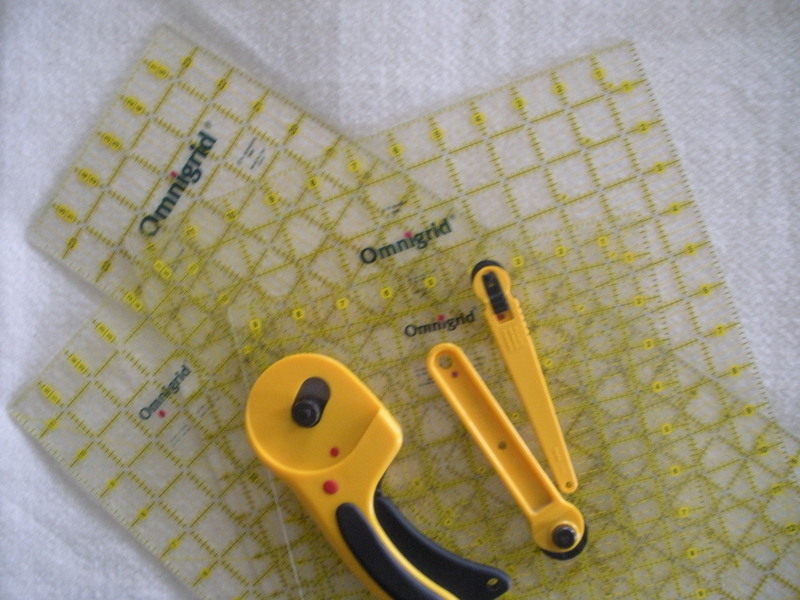 Fortunately quilting has many tricks and techniques that can make your quilting perfect if that’s what you’re after! 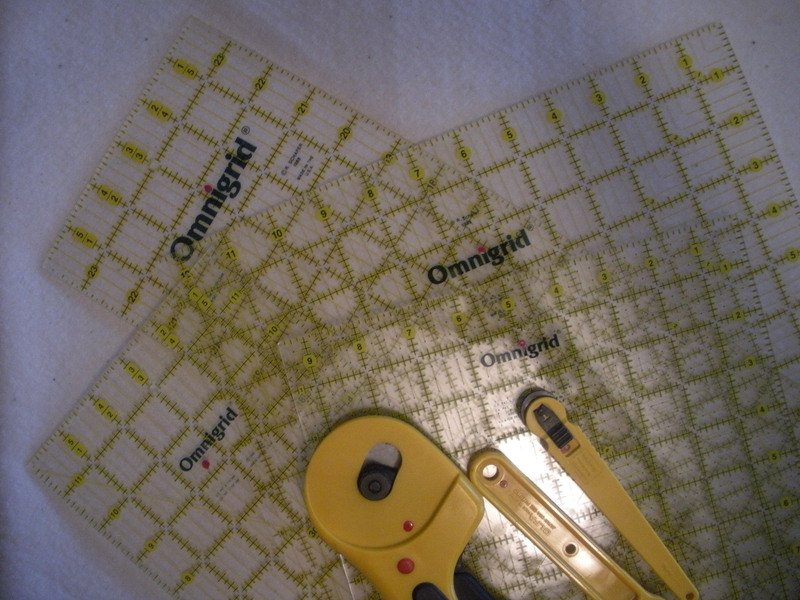 Lay the pressed strip set on gridded cutting mat and use ruler to check for accuracy. 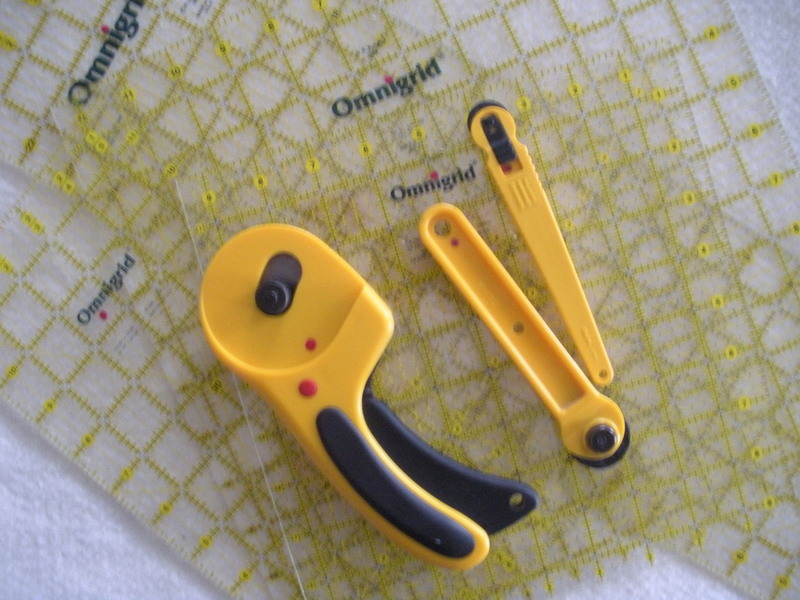 The strip set should be straight and measure accurately. 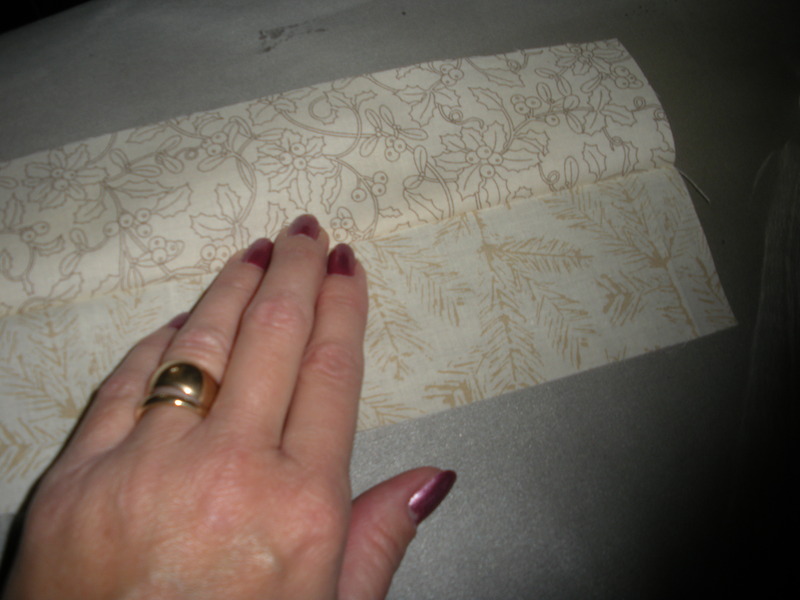 Too large of a seam allowance will make the strip set too small and too small of a seam allowance will make the strip set too large. Neither of these scenarios is good for placing blocks into a quilt. 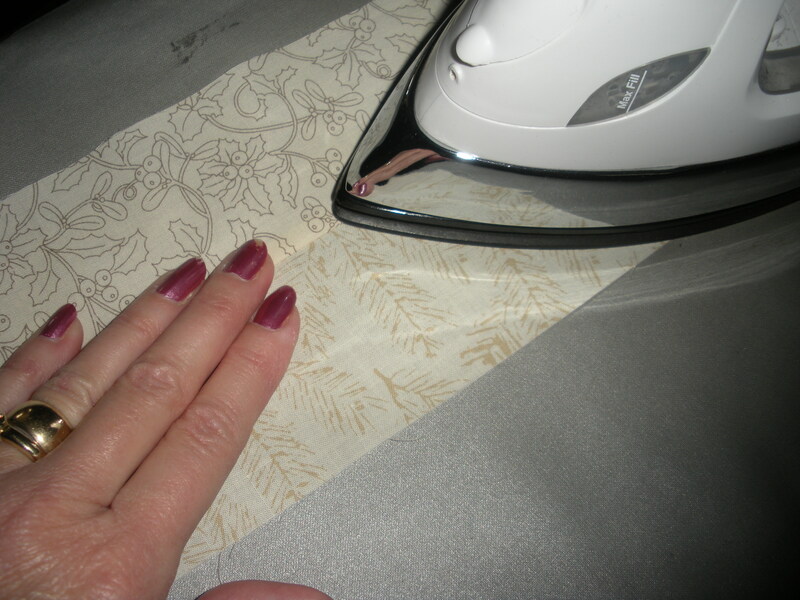 If you have trouble getting an accurate scant 1/4″ seam allowance you can try my friend Celine’s Perfect Piecing Seam Guide to help set up your machine. Remember, if you have a tip, send it to me at SuznQuilts@aol.com and if I use it in a Hot Tip Tuesday post, I’ll send you a free pattern! 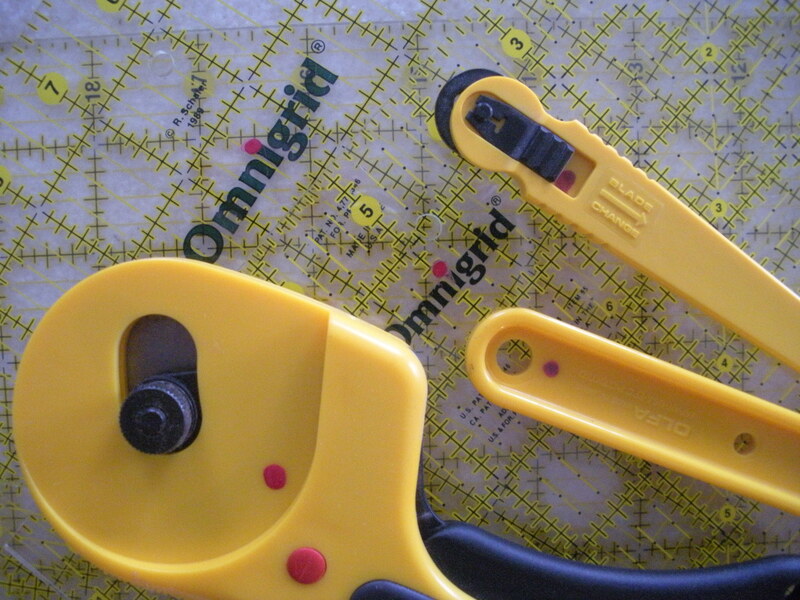 Do you know how much fun it is finally having a plan so I can cut all of this? Lots! But let’s not forget how much work, mostly mental, it took me to get here. In case you don’t know, we got a much-needed new computer. That alone has been the cause of anguish that I don’t care to repeat for another seven years, that’s how old our other computer is. The keyboard alone is the culprit of several new gray hairs itself. I can’t seem to type keyboard anymore. The keys are more spread out and smooth and I haven’t quite gotten the hang of it yet. Even now, I’m retyping almost every word, striking the keys with a vengeance. Something with this new keyboard makes it almost impossible for me to make a capital letter. Perhaps I need to strengthen my pinkies? My oldest daughter suggested I go back to the old keyboard. What? I will not surrender to this thing that I’ve been yearning for. I’m going to tackle this thing and win! Well, that’s what I thought until I wanted to play with Corel a few days ago. I installed my old program a while ago and drew a line to make sure it was installed correctly and then moved on. Well, when I went to work on it this time, after 30 seconds or so, my computer opens a window telling me the program is shutting down. What? After re-opening the program several times with the same results, I went to Corel’s website and downloaded three different patches/upgrades and tried again, guess what? Same results. With a bit more research I learned only their latest version, CorelDraw X5, is compatible with the new Windows 7, of course! I would expect no less. So, now what? It’s not like it would have stopped us from getting a new computer, but it’s a bit annoying. The new program is only $700! I can buy one on eBay though for $69.99, really? I wonder what that really is? So, guess what? I’ve been back to working on the old computer, wow that monitor is miniscule! But guess what else, the keyboard is awesome! Does anyone out there besides me like great tips? 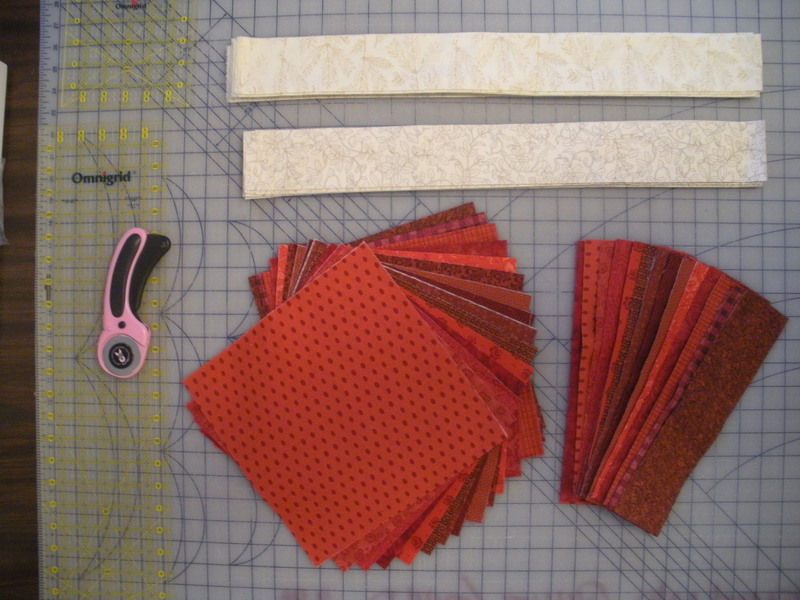 I have all kinds of quilting tips in my sewing room and in my little noggin. So, I’ve decided to start “Hot Tip Tuesday” and share them with you. Since I know there are a lot more very good tips out there, I’m also going to open it up to you, my blog readers, to email me your tips SuznQuilts@aol.com If I use your tip I’ll send you a free pattern! 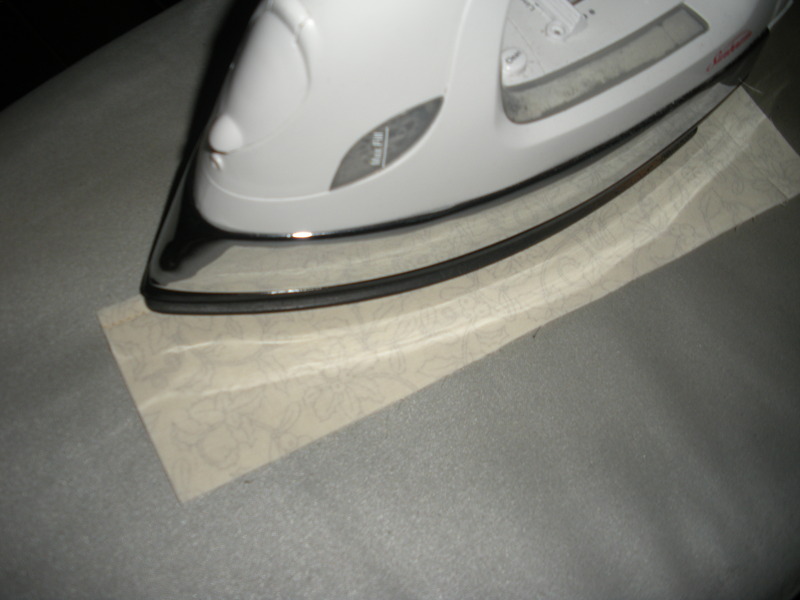 Tip #1, I don’t know if any of you have this problem, but I buy quilting fabric here, there, and everywhere and perhaps while it’s aging, I forget where I bought it. Then, when I do finally put it into a project I find that I bought a tad too little and want to buy more. In my experience, it’s easiest to call the shop that at least at one point in time had the fabric. 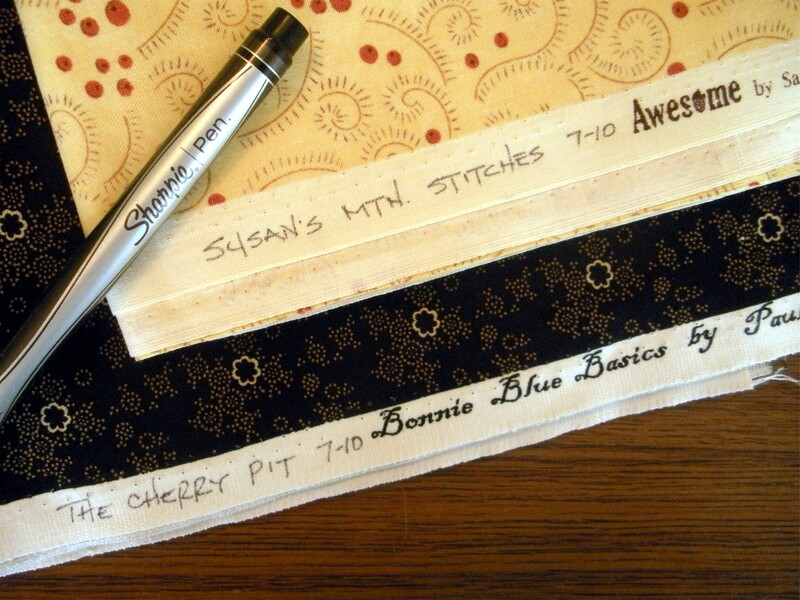 Now, every time I buy new fabric, I write with a Sharpie on the selvage where I bought it and when. I bought these two fabrics in Tennessee while on vacation with my family last summer. Yellow fabric is from Susan’s Mountain Stitches & the black is from The Cherry Pit. This tip comes to you with a warning, it’s not dummy proof! A year or so ago, I used a fabric that I’d labeled “EBT ’08”. Well, I had enough fabric, but a friend wanted some after she saw my project. Do you know I could not, for the life of me, remember what my stupid note “EBT ’08” meant? It was months later that it dawned on me that I had bought it at Eleanor Burns’ tent sale in Paducah during the quilt show in ’08!!! So, to expand on this tip, be sure to write yourself a note that you will understand more than a week after the purchase! Happy Veteran’s Day to all our veterans! It’s been a busy few days at my house, and on my blog. My wonderful Mother-in-law helped me fold and bag patterns this week so I could get them shipped out, partly because I really needed the help and partly because she needed to be busy on the first anniversary of my father-in-law’s passing away. I have to say, everyone has said it would take her a year, not to be over her grief, but to start to be OK with it. I’m happy to say, in the last two months, I’ve seen a calm in her that’s been missing since the untimely passing of her husband. She’s even booked a bus trip to Branson with a friend, a huge step. Here’s to moving forward! Speaking of moving forward, not only am I amazed by the number of people following the 100 Blocks tour, but also by all the comments that have been posted on all of the blogs participating! So much excitement, and real soon you’ll all be able to get your hands on a copy of Quiltmaker’s 100 Blocks vol. 2, one way or another. I put all my comments into a number generator and the lucky winner from my blog is #113. Now that is Kismet. My favorite number is #13! 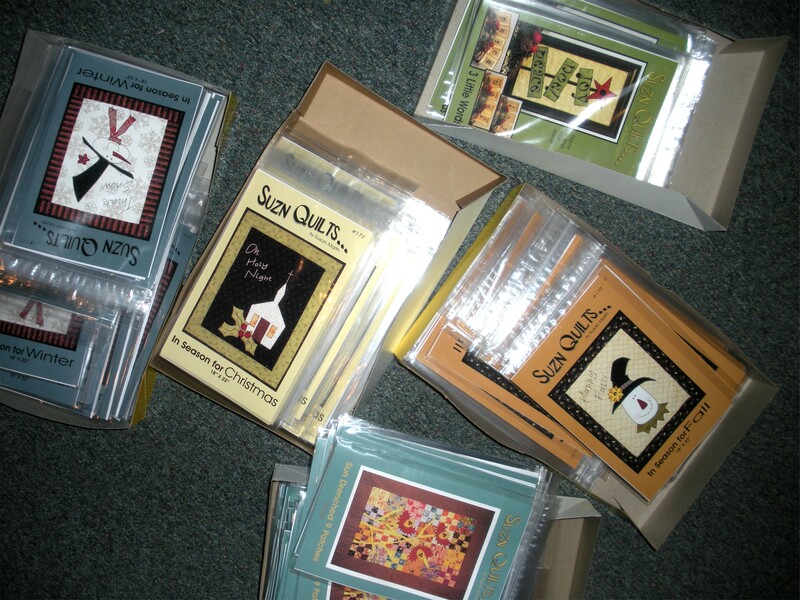 So, Michelle Clemons, if you’ll send me your address, Quiltmaker will send you a free copy of 100 Blocks vol. 2. For the rest of you, there are still two more days of the great give-aways going on. 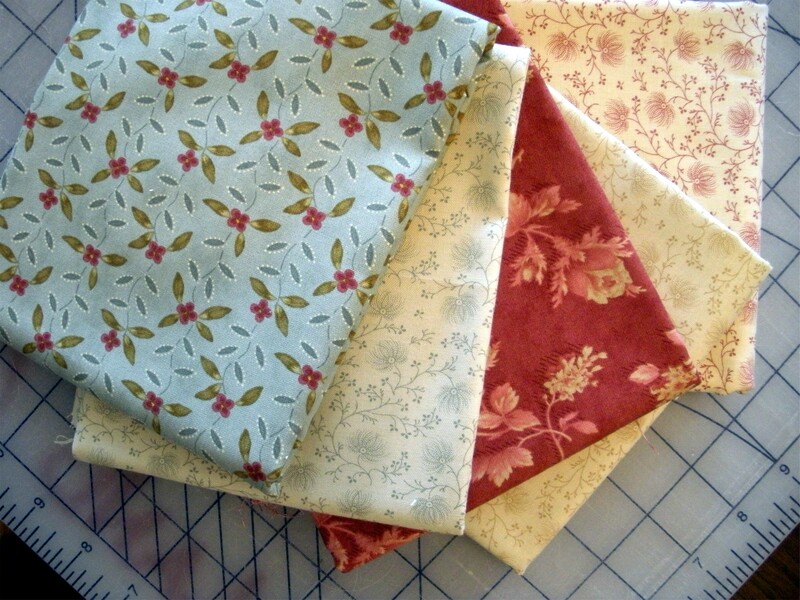 Go to Quiltmaker’s blog for the lists of remaining blogs to visit. Have fun and good luck! Welcome to 100 Blocks Blog Tour! I’m honored to be part of the second volume of Quiltmaker’s 100 Blocks. While vending at Minnesota’s International Quilt Market in May, I was asked to submit a block to be considered for this issue. What an honor to be selected along with 99 other talented quilt designers. My block, #140 “No Ordinary Flake” is featured on page 41. 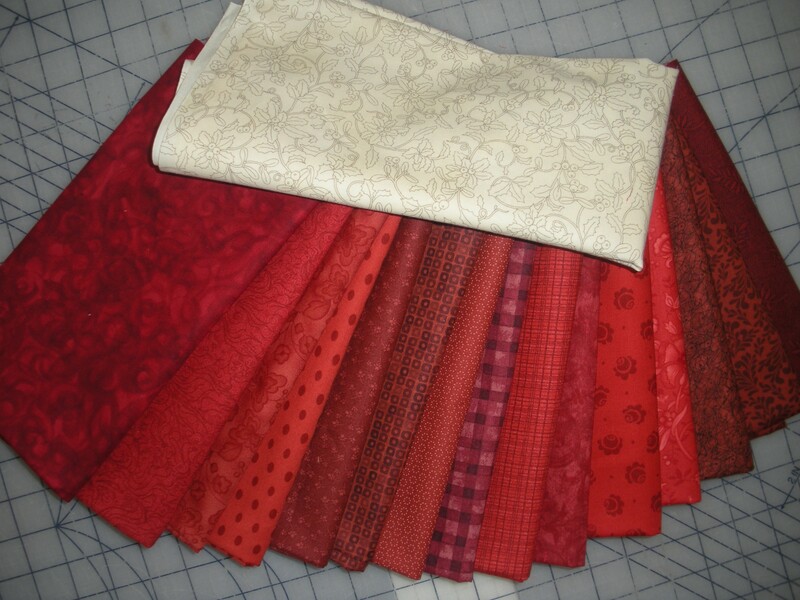 I used civil war fabrics that I collected while in Minnesota for spring quilt market. And by “collected” I mean Celine, Robin & I had to visit at least four different quilt shops in the Minneapolis area so I had fabric for this block submittal. What a girl has to go through! 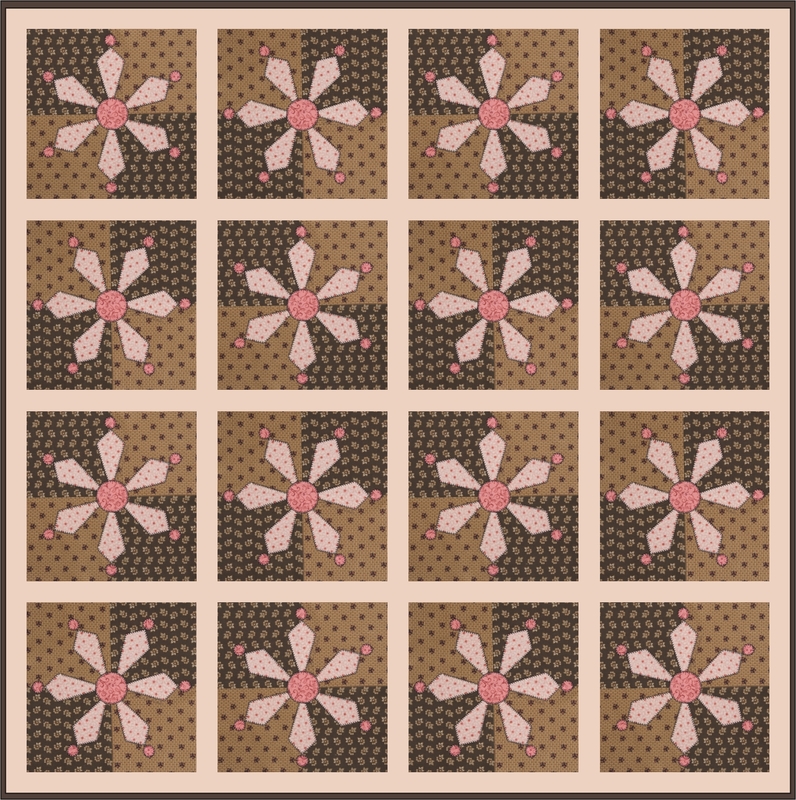 Here’s a setting option for a 54″ square quilt. This would make a nice sized wall or baby quilt. 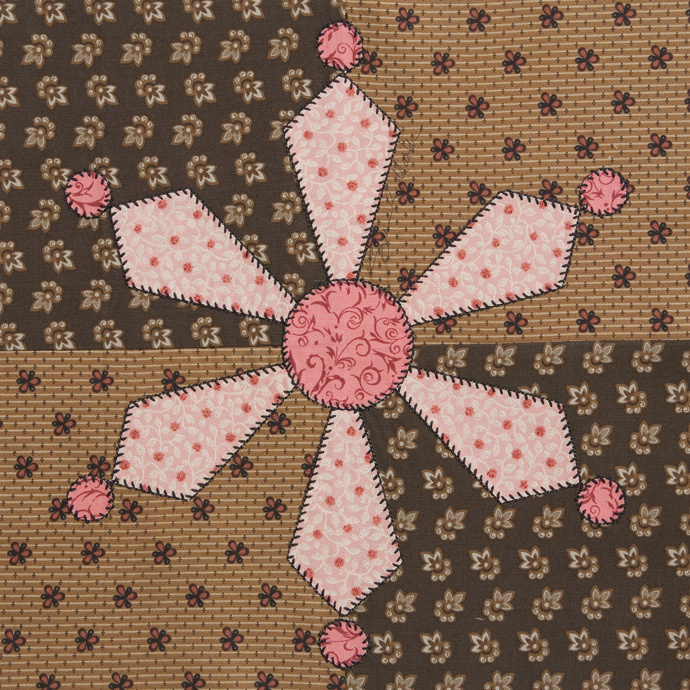 I like the secondary pattern made by the four patch background squares. Now for the really exciting part, if you leave a comment (Back at the top by the date) on my blog between now and Wednesday night you will be entered to win a free copy of this issue! I will draw a lucky winner Thursday morning. Be sure and leave an email address so I can contact the winner. 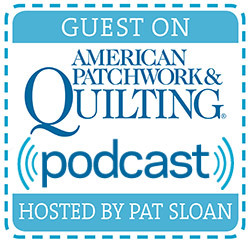 Also visit Quiltmaker.com because they are giving away lots of other prizes, including the original signed blocks from this issue, and some of my “Best Friends” books to name only a few.